Why limit your sampling methods to demographic? 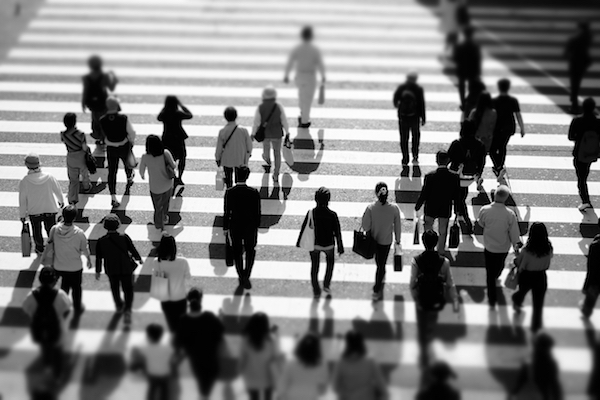 With a broad selection of sampling methods now available to researchers, why are we still fixated on demographic segmentation? Ben Leet, Delineate’s CCO, asks brands and marketers to look further afield with audience research. The meeting is going well. The pitch is in full swing and the research agency is in control. Time to see what they’re made of. You pause, briefly, as if something just crossed your mind. But truth is, you had this one prepared a while back. You lean in to deliver your curveball question. They smile, unfazed. The question is so completely expected that their response sounds almost rehearsed. “Well, we control for quotas on age, gender and region…” they start. Maybe they’ll cover income, if it’s appropriate. They’re good, you think. They clearly know their stuff. On both sides of the table tick boxes are mentally checked off. Satisfied, you move to the next question. And that’s where you’ve missed the opportunity to truly put the agency to the test. There’s more to sampling methods than demographic segmentation. Don’t get me wrong, you must absolutely ask about sampling methods. You need to be sure that decisions taken off the back of the research are the right ones. But the opportunities for audience research now extend beyond demographic measurement. So, if you’re sticking with the basics, you’re not getting the full power of what’s now possible. Demographic segmentation is tried, tested, and accepted. For a long time, it was tricky to implement sampling methods any other way. But it has its limitations. For example, picture two women of similar age living in the same region. One is CEO of a large company, the other is a mother on state benefits. Will their outlook on life genuinely be aligned? Can we genuinely say we’re getting accurate audience representation from just demographics? Imagine how much more effective our research would be if we understood how our target audiences thought and behaved. We have tools and techniques that extend our sampling methods to encompass attitudinal, psychographic and behavioural research. For a quick example, check out Delineates sister company opinion.life’s omnibus and custom solutions. Understanding the why is just as important as age, gender and region. Audience research using attitudinal or psychographic segmentations proven to be more representative than demographic sampling alone. These sampling methods help brands and marketers understand the why—the emotions, values and motivations that drive purchase decisions. The agencies you meet with should be excited to share these new methodologies with you. If you keep getting the same answer to your question, make sure you’re ready with a real curveball and ask about capabilities broader than the demographic. Delineate believes we do research more accurately. Our approach to sampling methodology blends demographics, behaviour science and psychographics to deliver more representative data for brands and marketers. If you would like to know more about sampling methods, please get in touch.